A staple of native Peruvians for thousands of years, Maca is a superfood that greatly alleviates the effects of stress on the adrenal glands. While physical, emotional, and nutritional stress all have a negative effect on our adrenal glands, Maca can be very beneficial by aiding their regeneration. 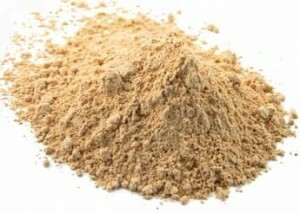 Maca also helps to restore the negative effect that stress has on hormonal health. For athletes, Maca can be very beneficial as it allows our bodies to better deal with physical stress, and in turn, we are able to become stronger. Maca can allow an athlete to continue training at a high intensity while speeding recovery. For those that consume caffeine, either to fuel athletic performance or simply to get through a long day, it is important to alleviate the strain caffeine has on our adrenals by nourishing them with Maca. Maca is a low-glycemic food that is also very helpful in reducing sugar cravings as well as increasing energy by means of nourishment, rather than stimulation. Some other benefits of Maca include: promoting vitality, metabolizing carbohydrates, fats and proteins, developing and maintaing strong bones and teeth, antioxidant support, and the forming of red blood cells. When selecting Maca, be sure to choose a gelatinized form which removes the hard to digest component of the Maca root and results in an easily digestible form of Maca. I find Maca has a butterscotch taste and assimilates very well with nearly any type of smoothie. I suggest adding 1/2 teaspoon of Maca to your favorite smoothie to begin, and eventually increasing to 1 teaspoon per day. While it isn’t possible to consume too much Maca as it won’t accumulate to toxic levels in the body, 1/2 tablespoon per day should be more than sufficient for most people. ‹ What I’m Reading (Part 1) – Anatomy of the Spirit by Caroline Myss, PH.D.